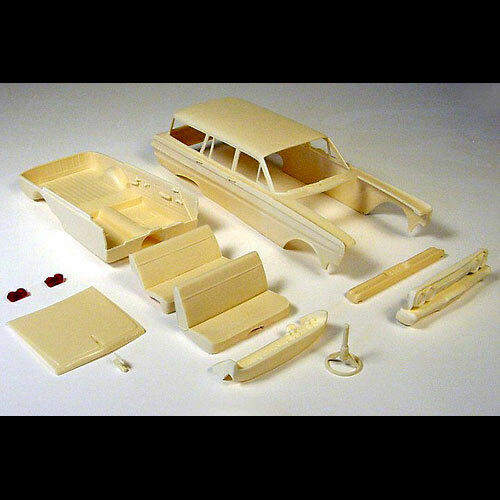 1964 Mercury Comet 4-door Station Wagon by Perrys Resin. Includes body, hood (your choice, 3 options available, Stock, Teardrop, or Dual Scoop), bumpers and grille, clear red taillights, interior tub, seats, dash & steering wheel, and Vacu-formed windows. For donor kit use with: AMT 1961 Fo-rd Ran-chero chassis.